September 2017 – We've Moved! Alia Kuhnert began playing trumpet at age ten in her home town of San Francisco, going onto major in trumpet at the San Francisco School of the Arts High School. Alia attended the Summer Brass Institute in ’12 and ’13. As a fellow she collaborated with Joseph Alessi, principal trombone of the New York Philharmonic, Øystein Baadsvik, international tuba soloist, and Thomas Hooten, principal trumpet of Los Angeles Philharmonic. Alia is a graduate of the New England Conservatory where she majored in Trumpet Performance and performed with NEC’s Philharmonia, Wind Ensembles, Opera, Jazz and Chamber Orchestras. Committed to education, Alia teaches trumpet at the Harmony Program, a program whose mission is to reach underserved communities in New York City public schools. She is the trumpet faculty at Cazadero Music Camp in California. Her principal teachers include Catherine Murtagh, Michael Sachs, principal trumpet of the Cleveland Orchestra, Ben Wright of the Boston Symphony Orchestra, Tom Siders of the Boston Symphony Orchestra, and Kevin Cobb of the American Brass Quintet. Alia is currently pursuing her MM and DMA in trumpet performance at Stony Brook University, studying with Kevin Cobb. This week’s Five Things Friday reveals a new perspective in the Brass Chicks community – featuring a post from Michelle Bingheim, a trumpet player and music therapy student, on five habits we should all practice every day. Michelle Bingheim is currently a senior at Western Illinois University. Michelle comes from a musical family and developed a love for music at a young age. She began her music study with piano, but the trumpet eventually won her over. Michelle continues to study trumpet and participate in ensembles while earning her degree in music therapy. She enjoys performing with a variety of ensembles and has developed a special love for playing in brass ensembles/bands. Michelle plans to become a board certified music therapist upon graduation and serve clients in a special education setting while still pursuing her love of playing trumpet. Outside of music, Michelle enjoys consuming coffee, binge-watching Netflix, spending time with her family, being active at her church, and giving back to her community. This week’s Five Things Friday is from trumpeter Amanda Ross, on her experiences with her contemporary chamber ensemble, Girlnoise. Thanks to Amanda for sharing her thoughts with us! We are very excited to feature Bri Ihasz – a french horn student with some great things for all of us to keep in mind about music. Bri Ihasz is currently a junior studying Horn Performance and the University of Michigan. The daughter of two musicians, Ihasz grew up surrounded by music in a small town south of Buffalo, NY. She absolutely loves the Michigan School of Music, but she’s also involved in other activities, such as being a part of the marketing team for a local independent record label and being a sister of the Gamma Phi Beta sorority. She hopes to one day move to LA and either find work playing in lab orchestras or working for record labels. Thanks, Bri, for sharing your thoughts with the Brass Chicks community! In honor of school starting up again, throughout September we will be featuring interviews with inspiring teachers of the women’s brass community. We are so excited to present Denise Tryon as our first interview of the month. Thanks again Denise for sharing your thoughts with the Brass Chicks community! A native of Roseville, MN, Denise Tryon joined The Philadelphia Orchestra in 2009 as fourth horn. 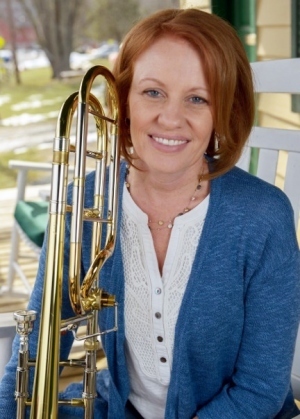 Previously the fourth horn of the Detroit Symphony (2003-2009), she has also held positions with the Baltimore (2000-2003), Columbus (1998-2000), and New World (1995-1998) Symphonies and has participated in the Colorado Music Festival and the Pacific Music Festival. An accomplished solo performer, Tryon has performed recitals in Sweden, Norway, Poland, Japan, and the United States. We are approaching the beginning of the semester and the beginning of the freelancing season! I hope you have all had a great summer and are now gearing up for something exciting this year. Maybe that might include an audition! Here are five resources that might be helpful to you this year and beyond throughout your audition path – whether it is a school placement audition or your first orchestral audition. 1. Bulletproof Musician – I know this website has been mentioned before on Brass Chicks but Noa Kageyama does a great job at outlining many helpful tips related to performance anxiety, music, and mindset. This article includes tips for future auditions related to your preparation beforehand. 2. Audition Hacker – This is a great website that addresses many aspects of audition preparation – from practicing tips to concerns about what happens during the audition. Check out the articles here. 3. 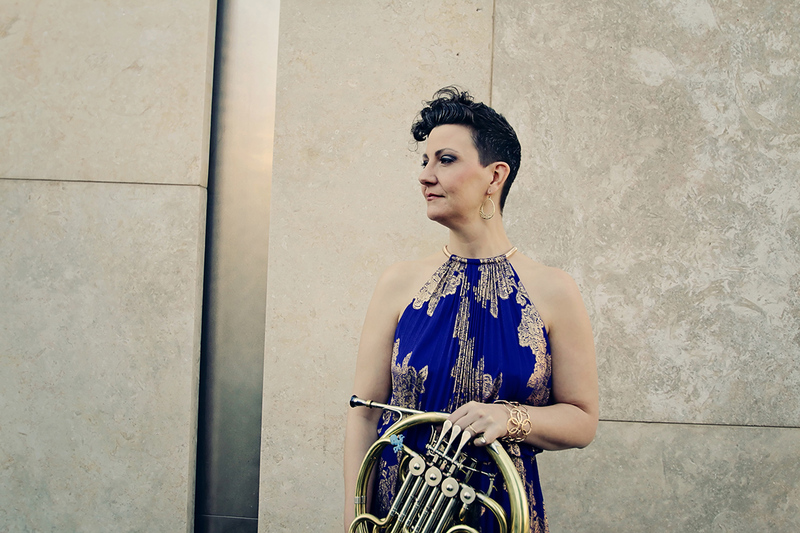 Crushing Classical Podcast featuring Denise Tryon – Denise Tryon (former Fourth Horn of the Philadelphia Orchestra) is a master of the low horn and orchestra auditions. This interview describes her audition path and includes several helpful tips! Denise Tryon also runs an audition workshop to help students prepare with mock auditions, masterclasses, lectures and more. Check that out also! 4. Angela Beeching’s blog. Angela’s blog is so incredibly helpful on a wide range of topics including performing, speaking, marketing, and networking. Since the earlier points in this post are more about the physical aspects of playing and how/what to prepare, I knew a post on how to boost productivity would be super helpful to make sure we all stay on track in our preparation. 5. Find out what it’s like on the other side of the table — the panel! If you know someone in the organization, you might be able to find out an extra tip or two about what they could be looking for. Set up a mock audition with friends and alternate who is on the panel taking notes. You will learn SO much from being on the other side of it. Here’s a very interesting interview featuring Maxine Kwok-Adams – 1st violinist (I know, I know…this is Brass Chicks) in the London Symphony Orchestra. This interview with Maxine describes what it is like from her point of view on the panel – everything from what they may be looking for, common mistakes, and other tips. Happy practicing and audition preparation 🙂 Got any other good audition tips? Reach out to us on our Facebook page and let us know. We would love to hear from you!